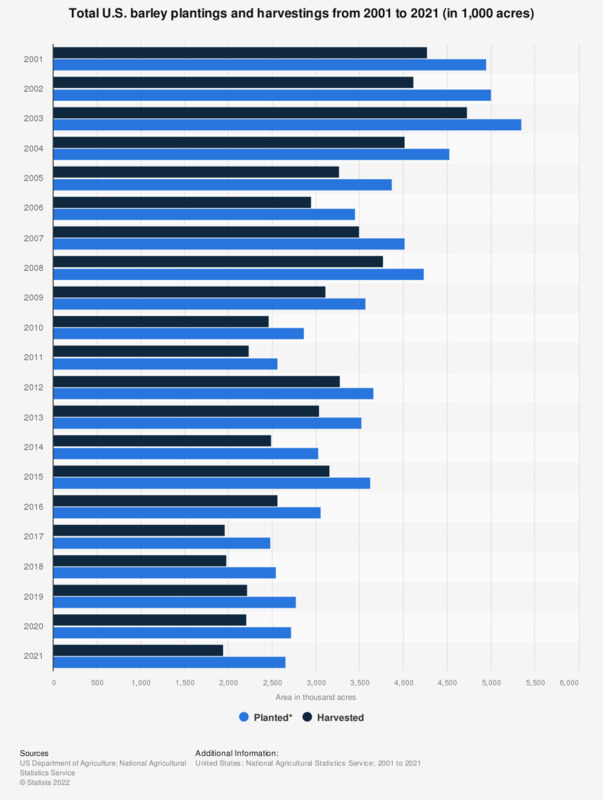 This statistic shows the total U.S. barley plantings and harvestings from 2000 to 2018. In 2016, an area of approximately 3.06 million acres was planted with barley in the United States. *Includes area planted in preceding fall.